The Hutch 1-1/8" "Thru H" Race stem has the H in the top cap cut all the way through so that the knurling of the bars is visible for the rider. 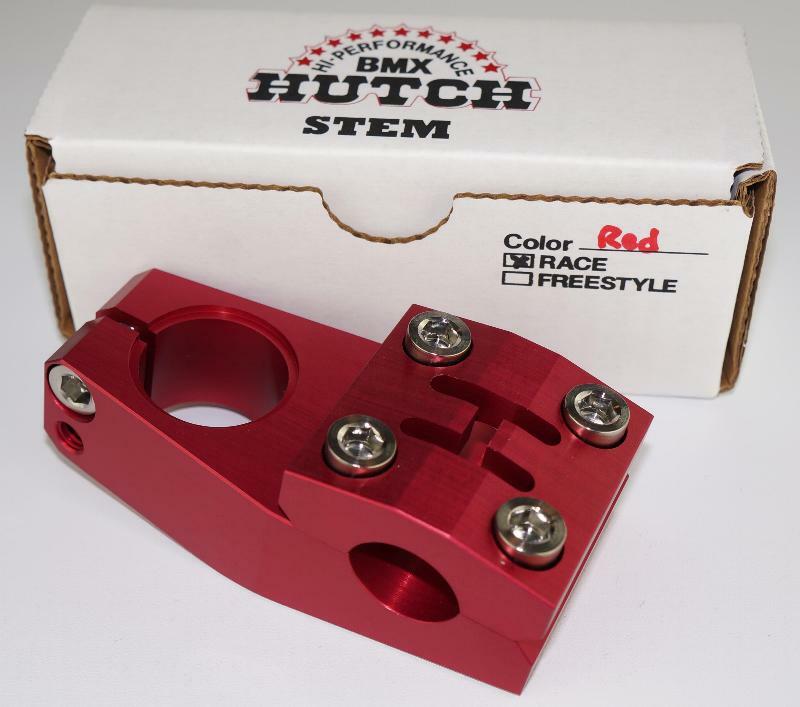 The Hutch stem is the only stem to include all 6 bolts made from titanium. 53mm reach. Red anodized color. Hutch stems are Made in USA.